If you have a special religious occasion coming up, Galvanic Charm has great options for personalized gifts for a confirmation or bat mitzvah candidate. Choose from cross, crucifix, or Star of David charms, or even angels, roses, saintly medallions, or other meaningful symbols of faith in pewter, sterling silver, 14k gold, brass, or copper. 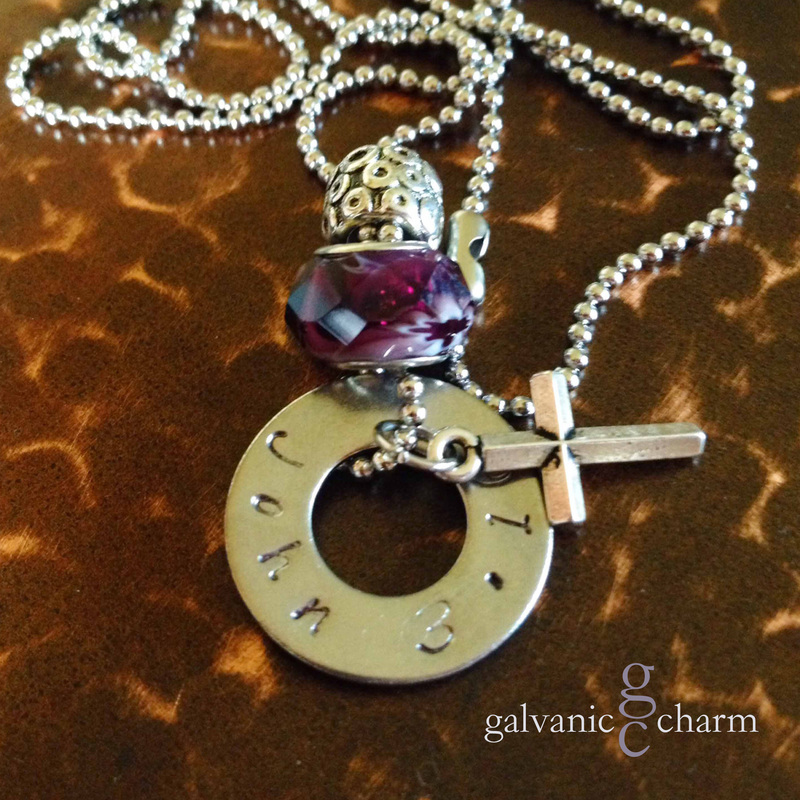 Stamp a Bible verse or passage onto a bracelet or washer, or create a mini-rosary in birthstone crystals. Message me and we’ll design something perfect. JOHN – Bible themed necklace with a single hand-stamped washer (john 3.16), pewter beveled cross charm, purple acrylic and intricate pewter beads. 18″ stainless steel ball chain. $30 as shown. Available directly or on Etsy.